Can I get a refund on domain registrations? We currently have 2 ways to make payments. We're working on consolidating these in the near future, but for now please use one of the 2 methods below. Invoices with the "R" prefix, ie "R2855" is a order from our recurring billing system. 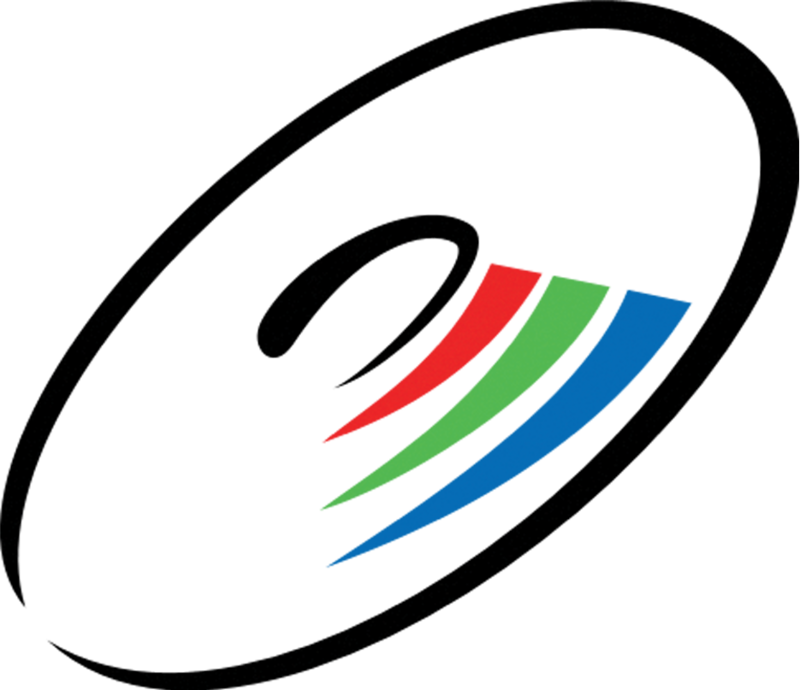 You will receive this email for domains, SSL Certificates, web hosting or basically any Recurring invoice for on-going or recurring services. please, click the button in the email to make the payment instead of using the instructions below. If the invoice prefix is "R" please use the instructions for MyAccount below. If you don't know which email address to use: first check the email address to which you may have received an email or invoice. If you are still not sure, then just contact us by sending us an email or click the Request Access link on the log in page. 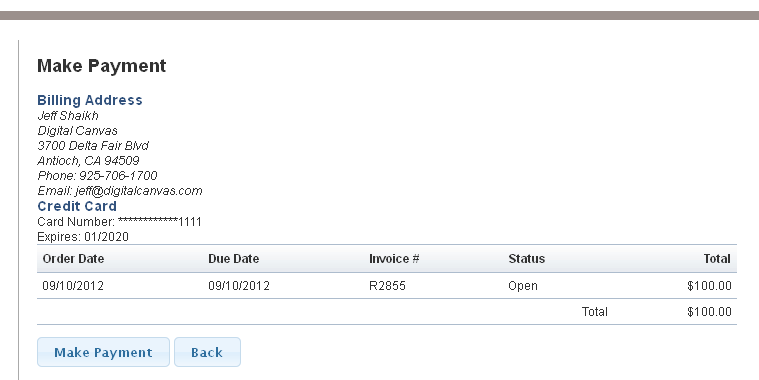 To view open invoices, these are the ones that need to be paid, click on the "Open Invoices" link. 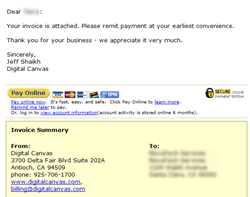 To pay open invoices click on either the click here in "Your account has open invoice(s). Click here to make a payment." in the yellow warning message at the top of the My Account page. OR click on the Make Payment link under the billing Section. You will be presented with the Make Payment screen. 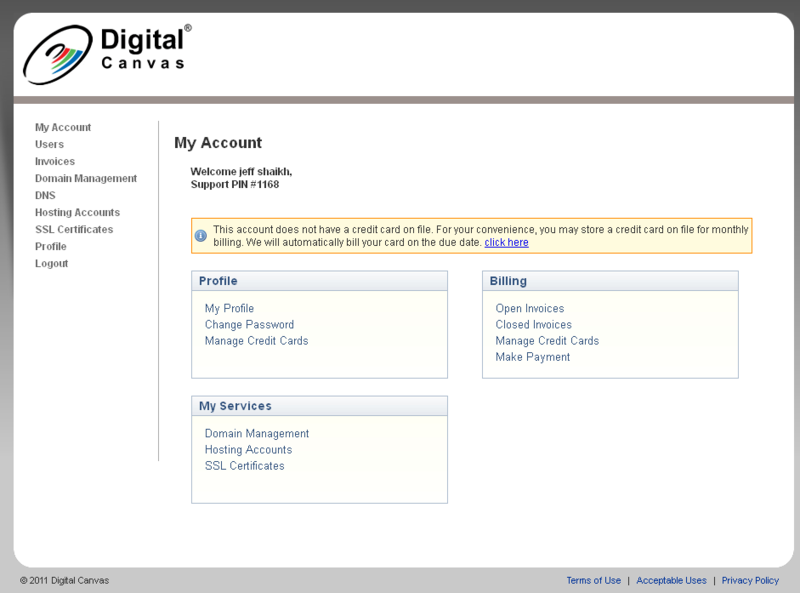 On this screen select all or the individual invoices you would like to make payments on and click "Pay Now" . Next, you will be requested to provide payment information. If you have a credit card on file you may use that card. May also select to "Use Other card". If you select use other card, it's recommended to select "save credit card". this will use this card on future invoices. Next, Click "Make Payment" on the final screen and you are done! For your security, please do NOT send credit cards through email. 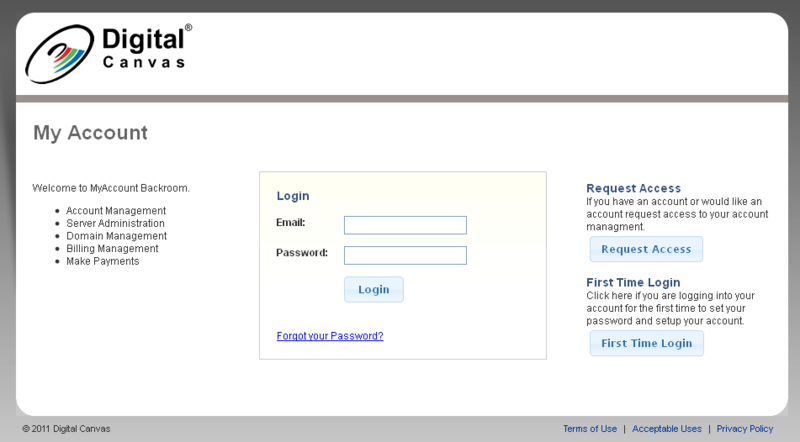 The My Account is secured with SSL uses the latest security technology. It is the best way to update your credit card.